When I was at school one of the most exciting times of the year was prom and we all spent a huge amount of time discussing our dresses, accessories and makeup plus of course shopping for them. I’ve got a lot of special memories from the proms I went to it’s definitely something which is becoming more and more popular. Prom dresses have changed a lot over the decades and I’ve found it really interesting to look back and see what they were like. Fashion’s always come back sooner or later. In 1956 it was all about the traditional long dress with plenty of embellishments, in 1970 the focus was on even longer dresses with possibly a train but little or no embellishments such as sequins and the fabrics were often floral or pastel shades. In the 1980’s the main trend were taffeta dresses with shoulder pads and ruffles featuring neon colours. These dresses couldn’t have been more different the previous two decades. Nowadays, dresses vary in shape and colour whether they be fish tail, figure hugging or feature beautiful empire waists. Colours range from black to vibrant. 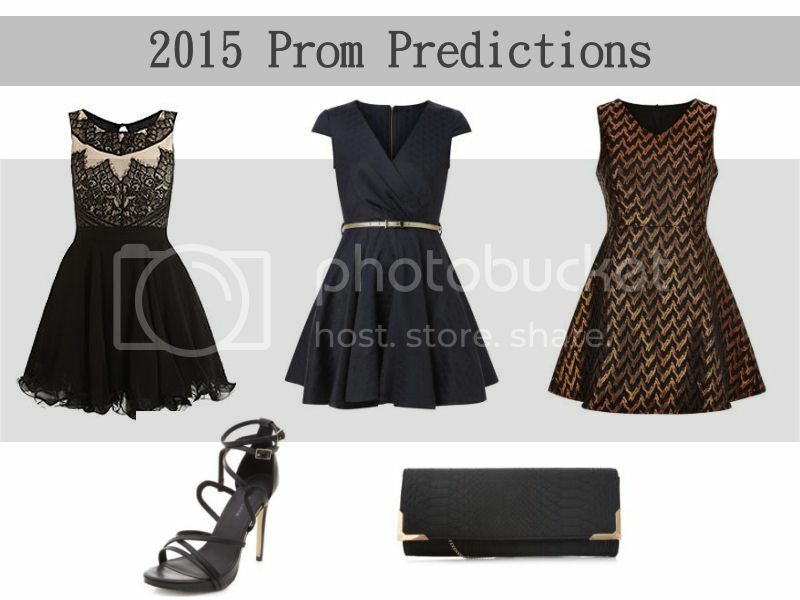 The picture above shows what my prom predictions are for 2015. I think 2015 will see dresses with some detailing such as sequins, beading and or lace but in a short length which is above the knee. Equally I think we will see more simple dresses where the detailing will be with the fabric and the way it folds/hangs rather than extra embellishments. I think loose fitting dresses will be more popular than those that are figure hugging and classic black being the most popular, as well as metallics. 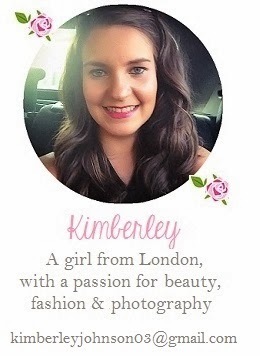 Whether you’re looking for a prom dress, planning your accessories or finding a date I hope you have a lovely time! Let me know what your 2015 prom predictions are below. You can check out more dresses on the New Look website. What do you think of my prom dress predictions? oh they are so pretty and lovely!